Playing PSP games for gamers is what we say “first love”. PlayStation has a lot of games from God of War to Lords of Arcana which are super cool. Moreover, the portability of a Playstation is the best thing but when it comes to buying one, it’s costly. What if I tell you that you can play all your PSP games on Android device for free?. Absolutely free of cost, no strings attached. But is it possible with the help of this amazing PSP Emulator -PPSSPP. 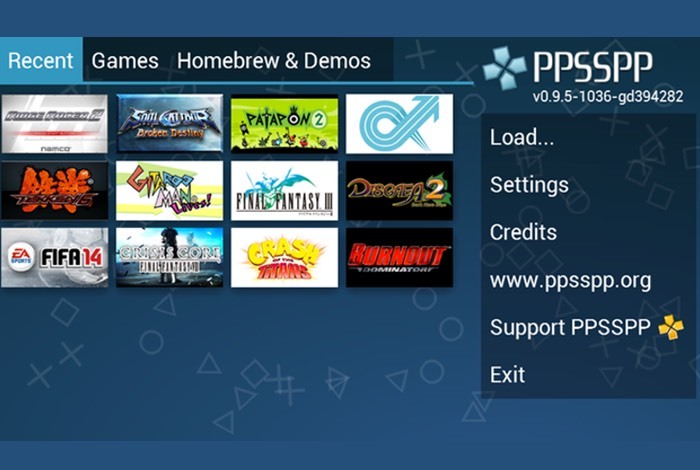 PPSSPP Gold APK is a PSP emulator which lets you download PSP games on Android, PC, as well as iOS devices. This means now you don’t need to spend your bucks on costly PSP consoles. The best thing about the new version of PPSSPP Gold is that it will come packed with Trojan-fixes which makes the program much secure from viruses and trojans which may potentially impact the device privacy. You can play with the games in higher resolutions as it is quite easy to correct screen resolutions. The APK file is 100% secure download and no virus-free. Let’s look at the features of this amazing PSP Emulator. These features and more than enough to excite a PSP lover to dive into downloading PPSSPP and play for free. Let’s now see the process of downloading PPSSPP on Android device. Once you’ve enabled unknown Sources option, external applications can be installed on your own Android device. Now, download the PPSSPP Gold APK for Android file. Wait for the download to finish. Once it is done, either click the file icon by dragging the notification bar below or find it in your file explorer. Click the app icon and the installation wizard will pop-up. You can either download the games from torrent or dump them from your PSP console to Android. Make sure you download the games in .ISO or .CSO formats. enjoy PSP games on PC/Laptop, then you’ve got to follow steps. BlueStacks App Player since it’s the very trusted on the Internet. Open up a browser and search for Bluestacks App Player and download it. As soon as the BlueStacks App Player gets installed, then go to Downloads folder into your computer system and click the application icon. The installing will get started now Agree to the terms and conditions and then click next. You need to follow all of the on-screen instructions till it is installed properly. Now, you can install any APK file on your personal computer. PPSSPP Gold APK download file is available here. Proceed to download part and also find the PPSSPP Gold APK file and open it with BlueStacks App Player. Open Bluestacks and Locate the app in the Application Menu. Now it is simple to import PSP games once the PPSSPP Emulator is installed in Bluestacks. iOS users struggle with using third-party apps, unlike Android users. This is done in order to maintain the security of the device which also kills up the user love for external apps. But by making some tweaks, PPSSPP Gold APK can be used on iOS devices easily. Follow these below steps to play cool PSP games on your iPhone. First, download the PPSSPP Gold APK file. You will need the IPA file Swift Source code which is available with the IPA file. Go to Settings>General>Profiles and Device Management once the IPA file is installed. You are now all set to use PPSSPP Gold Emulator For iOS. PPSSPP supports nearly all popular PSP games which is why it is the top-rated emulator. Some of the most popular games it supports are listed below. Not only these but also PPSSPP supports more such amazing games. You can check if your favorite game is available on PPSSPP easily. Make sure you have a minimum of 1GB RAM to run PPSSPP. You should stop looking for PSP Emulators now, and just use PPSSPP Gold APK. It is by far the best alternative which saves bucks from buying costly consoles. Kudos to the ultimate yet simple controls which will addict you the very first time. Do try it out and let us know your experience in comments.